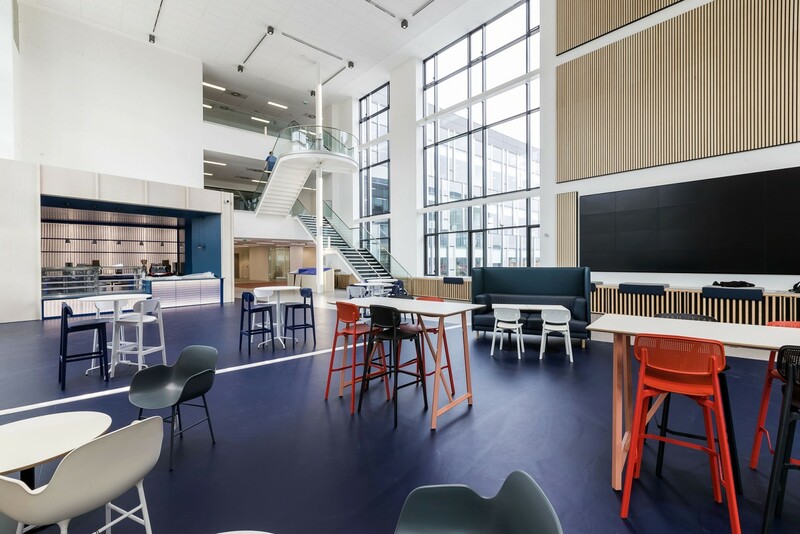 HFD Property Group, haa design, Gravenand Mosaic Architecture + Design have completed work on a £110m campus for the University of the West of Scotland at Hamilton International Technology Park. Three buildings stretching to 235,000sq/ft provide a range of laboratories, teaching facilities and social spaces as well as a gym and form a shared ‘street’ along the spaces between which also double as outdoor meeting and learning areas. 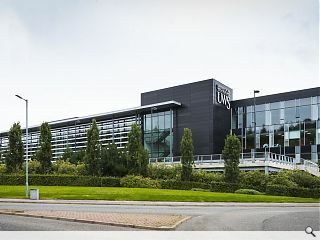 It is claimed that the resulting campus is now the UK’s ‘greenest’, courtesy of carbon neutral buildings and features such as 100% renewable energy and rainwater harvesting. 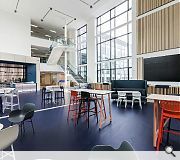 Neil Haining, director of Mosaic, said: “The new UWS Lanarkshire Campus is truly an innovative, dynamic and collaborative university campus, filled with inspiring and flexible teaching spaces and packed with new technology. Also included is a 236 person capacity auditorium and conference room for up to 128. The UK’s "greenest" campus in a business park miles from anywhere, let alone a railway station or decent public transport links. Aye that'll be right! I've said before on here, but this amounts to one of the most moronic planning decisions since the M8. Think what this building would have done for the area around the county buildings near the existing campus. Plugged into the town, near the train station, near local shops, restaurants, coffee shops. Near where people live. South Lanarkshire Council deserves every negative consequence it will reap from allowing this development. I'm glad I left Hamilton when I did. It used to be a great town. Its a hollowed out mess now and has been since they developed a retail park right next to the then busy town centre. But... but... it's called International, it must be good. Who's developing these absurd names? Why is it in the arse end of nowhere? Is it because they do animal testing in it or something? Just an office block built on a plinth over basement parking -- inspirational not. Education factory -- stack-a-pleb drabness. The main buildings were already constructed (and unlet), and all UWS have done is add a facade and fit out the interior. Where did the £110 million go? (Not on the temporary shuttle bus service, which will probably last as long as the one running from Hamilton Central to Almada Street in the Bell College days).